One of the delights of the Memorial Hospital is the stained glass that decorates some of its corridors and stairways, and the St Nicholas Chapel. I was lucky recently to have the opportunity to take some photographs of the windows, which I have put on the flickr site. 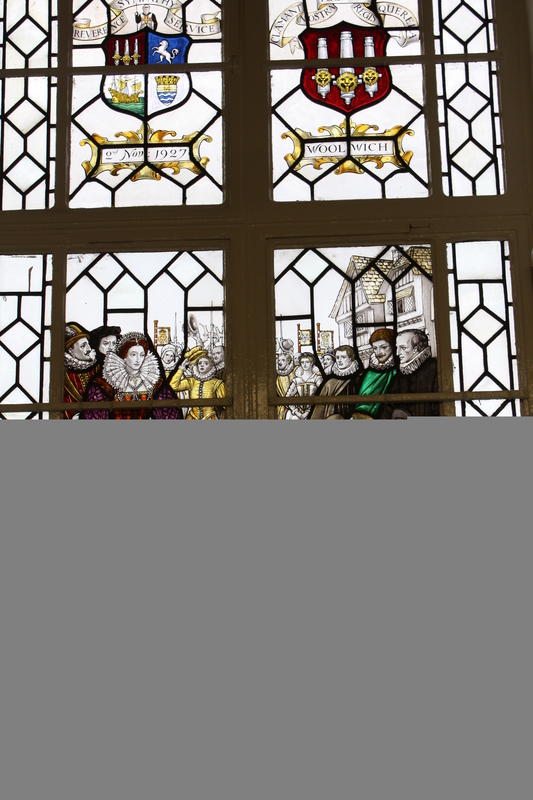 Most of the topics depicted in the windows need no explanation; a view of Eltham Palace, Henry VIII’s Great Harry ship which was built at Woolwich and the religious subjects in the chapel. However I found one window, shown above, puzzling. Who was William Fisher, I pondered, and what was his connection with the area? He also had a manor house in Plumstead , and much of the land in the parish which had been seized by the late King Henry had apparently come to his share. He was pretty well to do, and on the occasion of the royal visit he presented her Majesty with a ball of gold, with a cover, having a lion standing on the top, crowned and holding the Queen’s arms. Vincent thought that Fisher’s home was the Old Manor House in Wickham Lane, also known as the Pilgrim’s House or Wolsey’s House. A Google search for “Fisher’s Itchington” threw up Thomas Fisher MP, who according to wikipedia was MP for Warwickshire and was the person who depopulated Nether Itchington, but no connection with Plumstead or Woolwich is mentioned. So a partial solution to the mystery …. Gold connections continue in some of the other stained glass windows at the hospital. 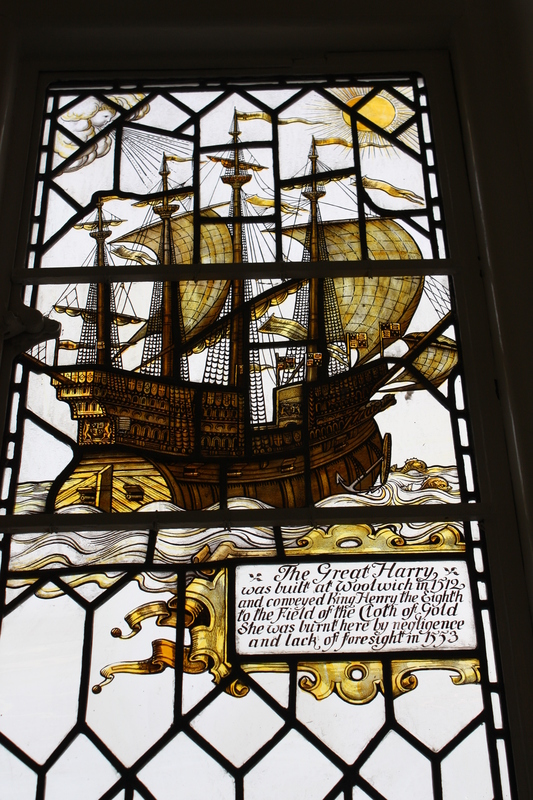 The Henry Grace à Dieu, also known as the Great Harry, was the first ship built at Woolwich Dockyard, and the reason the dockyard was founded by Henry VIII in 1512. It was the largest ship of its time, with many innovations such as having two fully armed gun decks, gun ports and 21 of the new heavy bronze cannon. 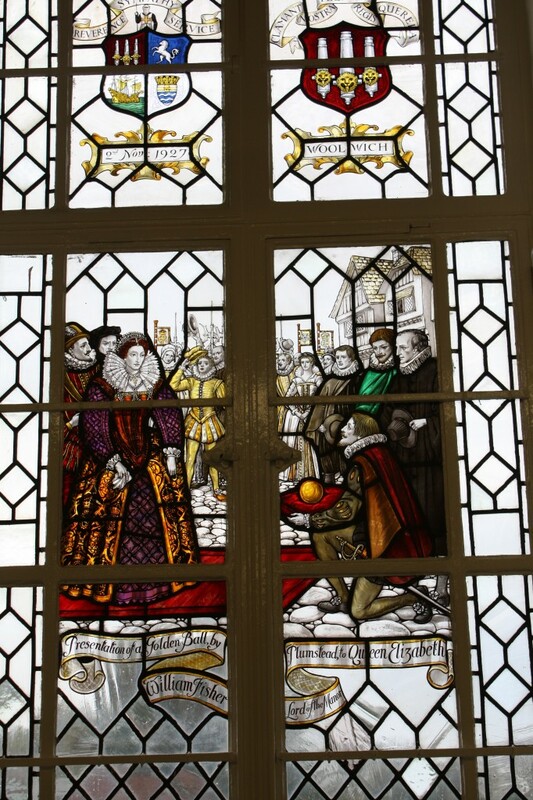 As the window says: she conveyed Henry to the summit with King Francis I of France at the Field of the Cloth of Gold and ended her life at the start of Mary’s reign in 1553, when she caught fire and sank at her mooring at Woolwich… “by neckclygens and for lake of over-syth,” according to Henry Machyn. 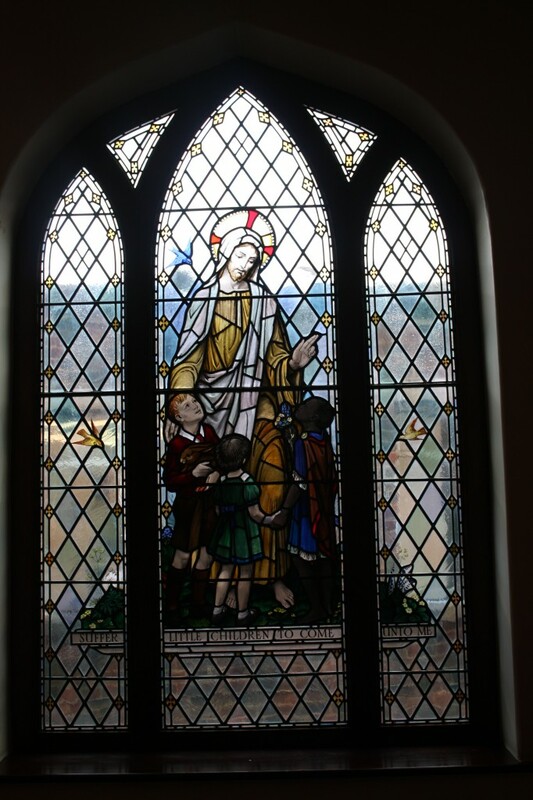 The ‘Golden Window’ was originally installed in 1956 in the Hospital chapel at Goldie Leigh Hospital. It was moved to the Memorial Hospital chapel and rededicated in December 1986. That was all I could find out about this window, but I’ll add it to my list for the next time I’m in the library at the Heritage Centre. What a range of interesting local history was encapsulated in just three windows! I was surprised on a trip to Thompsons Garden Centre to find that the Blackheath Donkeys weren’t in their field at the side of the car park. Along with other gardening shoppers I often pause to see how they are doing before heading in to the garden centre. 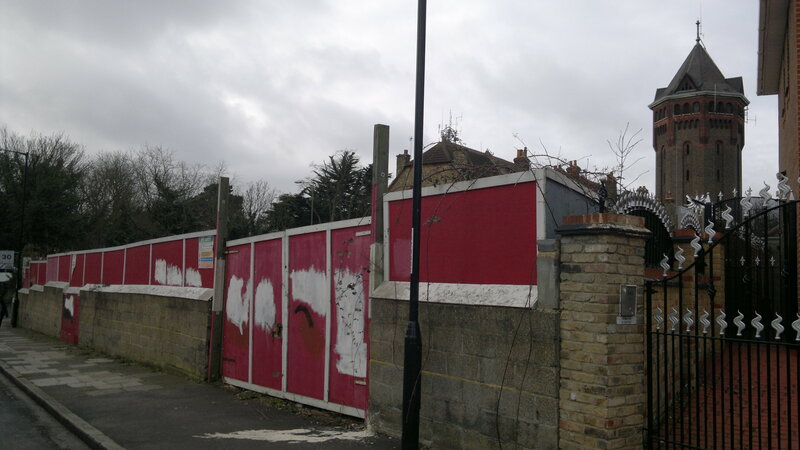 Then I remembered that an article in the Mercury had said that Greenwich Council had agreed with the owner, Lenny Thorne, that the donkeys would have a new field near Eltham Palace. Intrigued, I decided to pay them a visit. There are a lot of fields near Eltham Palace, I discovered, and most of them seem to have equine inhabitants. 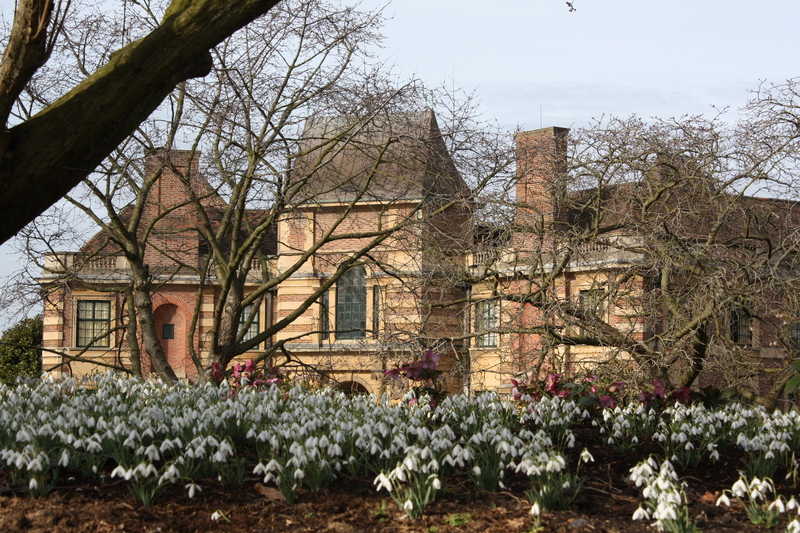 The Palace itself was closed for the winter, but the surrounding gardens were beautiful in the crisp, clear winter air with a carpet of snowdrops under the trees. I checked the fields round the edges of the gardens, but there was no sign of the donkeys. I decided to try the other side of the palace. The meander down King Johns Walk has a very rural feel, which is increased when it meets the fields at the bottom of the hill. This section of the Green Chain Walk is idyllic, with fields of horses and ponies on either side of the path and panoramic views of Central London from Canary Wharf via the Gherkin and Shard to the London Eye. The donkeys were in a field near a sign post telling me I was half a mile away from the Tarn and half a mile from Eltham Palace. They had moved last Wednesday, I was informed, and had settled in quite well and seemed happy in a field that was better drained than their old pasture and had good grazing. So the field is now clear for the Equestrian Centre to be built between Woodlands Farm and the garden centre. 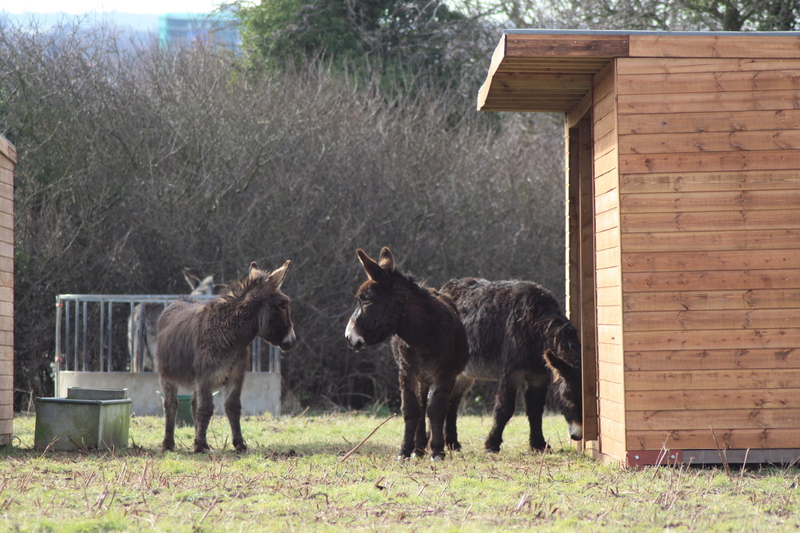 I hope the donkeys get as many visitors as they did in their old home. I will put some more pictures of them in their new home on flickr. 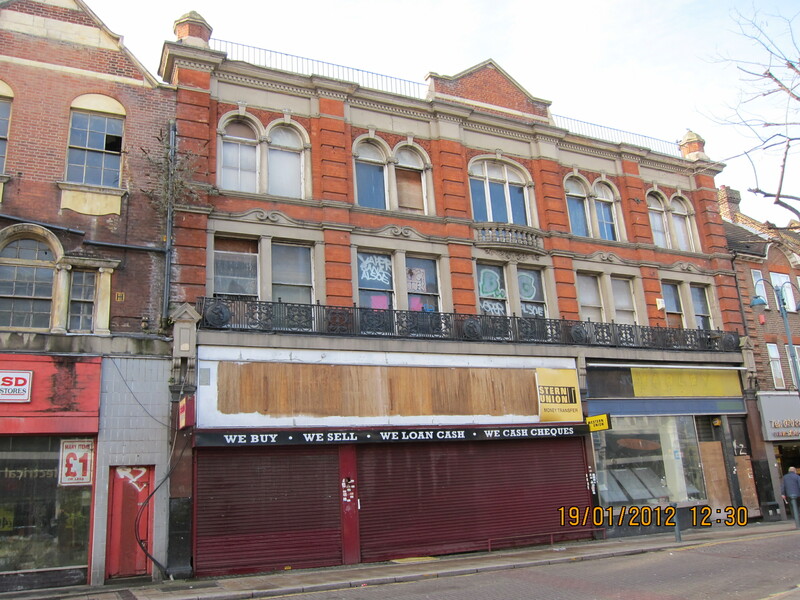 This important historic building should be converted to high specification residential development, with complementary, active uses on the ground floor. Smaller scale retail, cafés and restaurants are appropriate towards this end of the town centre, as the nature of the town centre gradually changes from the retail core, to what is the retail fringe, with a wider range of uses including leisure, community and culture. This area has a rich character which should be preserved though sensitive residential-led refurbishment with active uses at ground floor to create a distinct urban quarter. This area has the potential to be a high quality, high-specification, loft-style place with bars, galleries and artists’ studios together with other uses such as a jazz club and creative industries such as architect’s studios. The Masterplan contains 17 development initiatives, including some that are already underway such as the conversion of the older RACS building into a Travel Lodge hotel, the Love Lane Tescos development and the Woolwich Centre. It also proposes, in the 2018 to 2021 time frame, to improve Woolwich’s connection with the Thames by knocking down the Waterfront Leisure Centre and extending Hare Street to the river. A new leisure centre would be built in “a more central location in the town centre”. 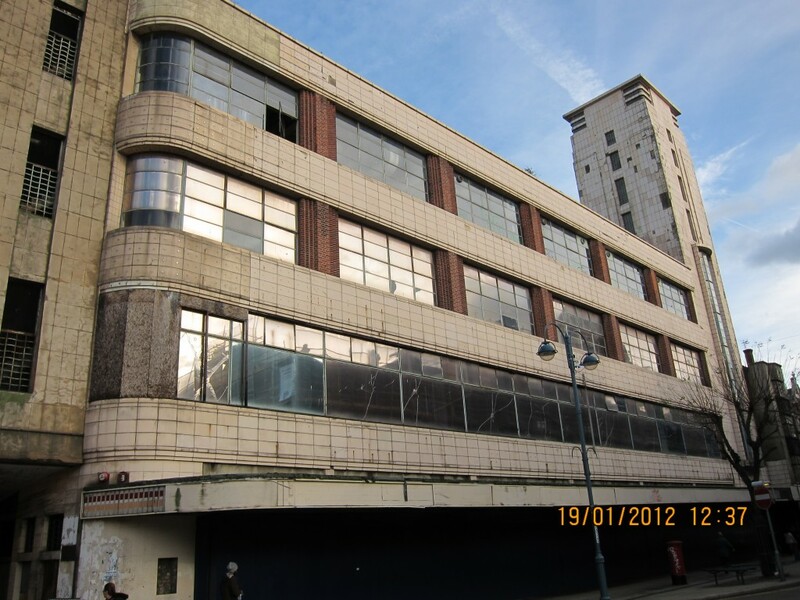 In addition the Gala Bingo site would return to being a cinema or entertainment venue. A less sympathetic development, which the plan says already has planning permission, is for the DLR overstation scheme; a seven storey, 96 room hotel and a 16 storey tower containing 53 residential units will be built over the DLR station in Woolwich New Road. As I said, an ambitious vision, Sir Humphrey would call it courageous, which would totally transform Woolwich; it will be fascinating to see if it successfully comes to pass. 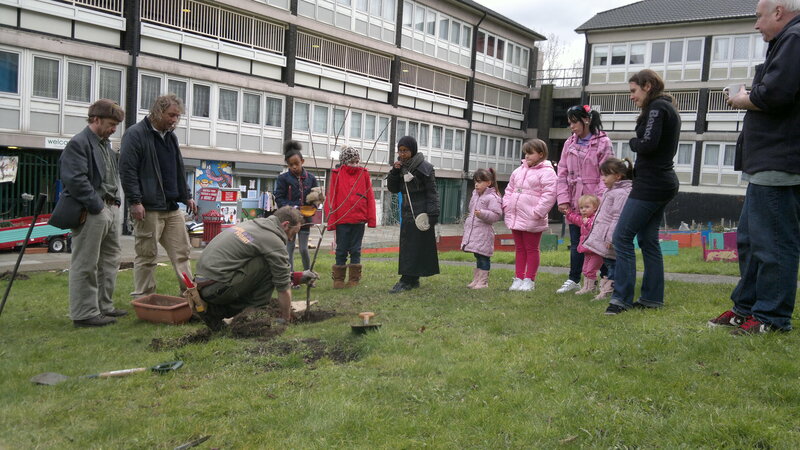 1.30 – 2.30pm Spring walk – follow the Green Chain Walk and more. Wear appropriate clothing. Keep dogs on leads. 1.30 – 2.30pm Clear rubbish at woods opposite Rowton Road . Bring stout gloves (we will supply rubbish bags). Pity there’s no Summer Festival, with its marvellous dog show. 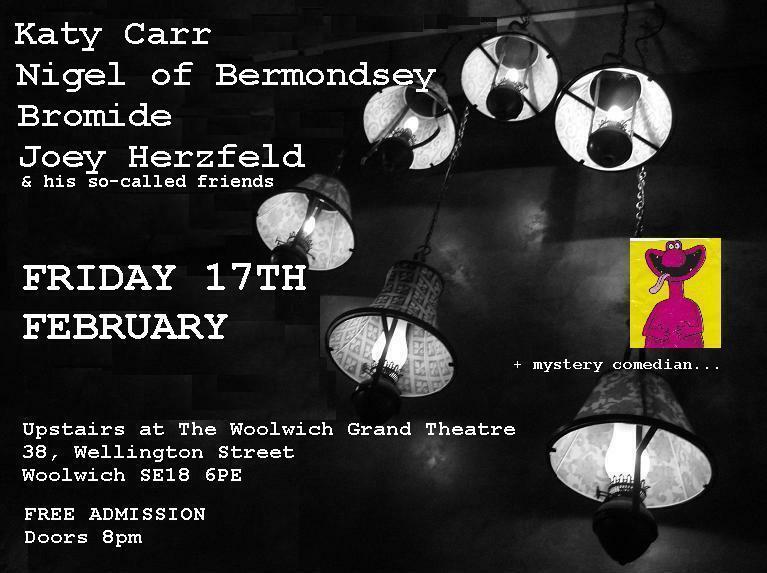 The Woolwich Grand hosts another evening of music next Friday, 17th February. If it’s anything like the last one it will be well worth dropping in to. Psycho-geographical songs and stories from Bermondsey, South London. Also songs and tales of Wapping, Rotherhithe, Walworth. Now incorporating Covent Garden and Bloomsbury. Soon to be adding The Strand. Nigel also has three CDs: Nigel of Bermondsey, London Dream Time and Bermondsey Folk. 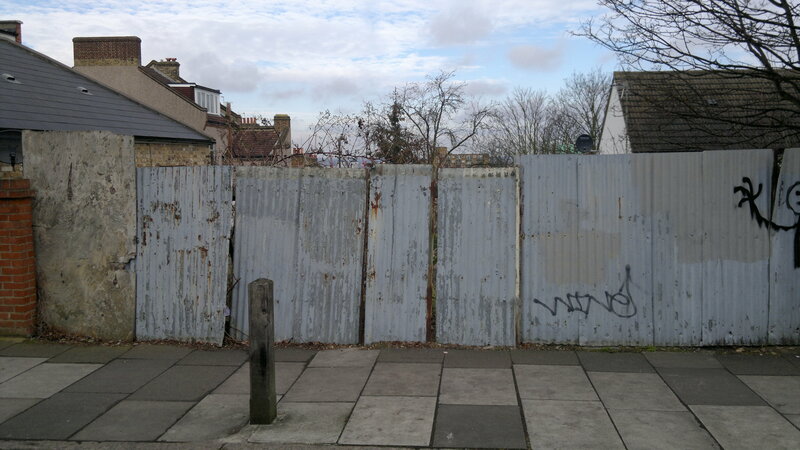 One of Nigel’s psycho-geographical interests is the Cross Bones graveyard on Red Cross Way in Southwark, in the shadow of the Shard, which I used to walk past regularly on my way to work. It’s not normally accessible to the public, but the large double gates are festooned with ribbons and messages commemorating the outcasts who were buried there. Perhaps Nigel will talk on Friday about the prositutes, known as the Bishop of Winchester’s Geese whose bones are there. is london-based, essex-born, capri-owning, cat-worshiping, singer-songwriter simon berridge and anyone he can con into playing with him. bromide plays mid-fi acoustic/electric folk pop. 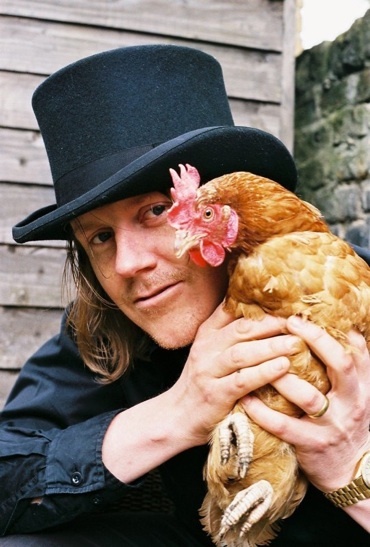 people have likened his music to elvis costello, american music club, ray davies, the only ones, lloyd cole, robyn hitchcock and kevin ayers. bromide has no idea so will take their word for it. Bromide’s CDs are iscariot heart, no.space.anymore.even.inbetween.words and ‘the trouble with.. bromide’. After 5 years writhing and screaming in cabaret/rock band Hooverville (myspace.com/joeyherzfeldandhooverville) Mr Joey Herzfeld has strapped on an accordion to deliver his mix dark humour and psychosis on mainly acoustic instruments. Formed at the end of 2010, Joey Herzfeld and The Haunted have been gigging regularly and have already recorded most of an album. Storytelling songs of murder, lechery and insanity are interspersed with the odd instrumental – spooky waltzes, toe-tapping blue-grass, and gypsy stomps. Though I guess that will be confirmed on Friday, and also whether his so-called friends are the Haunted. Sounds like another great evening at the Grand. End of the Woolwich Free Ferry? 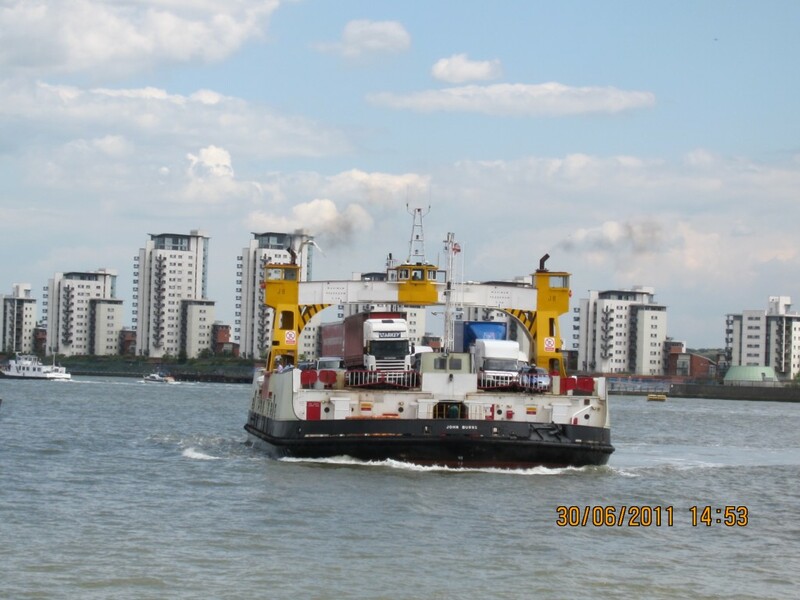 The Woolwich Free Ferry could be gone by 2017 if Transport for London’s latest proposals on Thames crossings are implemented. 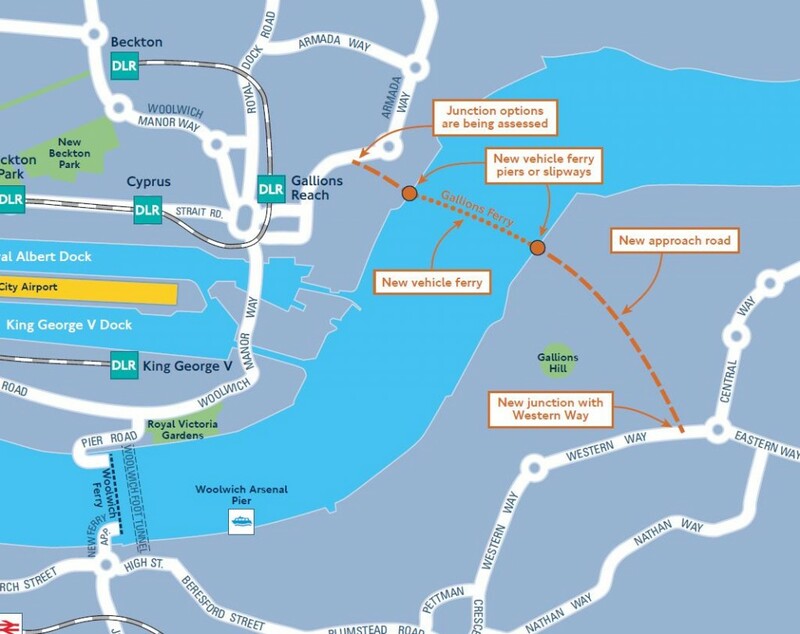 They have just launched a public consultation on proposals which include a new Silvertown Tunnel and a new ferry at Gallions Reach which would replace the Woolwich Free Ferry. The earliest that a ferry is recorded as running across the Thames at Woolwich is in 1308 when it was sold for £10. There was also a privately run ferry in the early 1800s, established by an act of Parliament in 1811. Later in the 19th Century, after pressure for a ferry from Woolwich residents, the Free Ferry was instigated by the Victorian engineer Sir Jospeph Bazalgette, better known as the builder of London’s sewage system. It has been part of Woolwich life for over 120 years. It was opened on Saturday 23rd March 1889 by Lord Roseberry – an occasion for a major celebration in Woolwich, illustrated in the picture on the right posted by Mary Mills on twitter. In 1996/7 the ferry carried over 1 million vehicles and approximately two and a half million passengers, around 2000 vehicles a day southbound and 1500 northbound. Personally I think it would be a great shame if we lost the ferry; I use it occasionally, and usually find it quite an efficient and relaxing way to get over to the north circular and Essex – when there’s no problems and two ferries running of course. However I’ve experienced quite long delays there as well, and can sympathise with commuters who have to cross the river regularly when the service is impaired. Sentiment aside I have a couple of concerns about the proposed new ferry at Gallions Reach. Firstly, where will the traffic for the ferry come from? Some, I assume, will come from the direction of the Woolwich Ferry – heading down the South Circular then turning right along Woolwich High Street to Thamesmead and the new ferry. 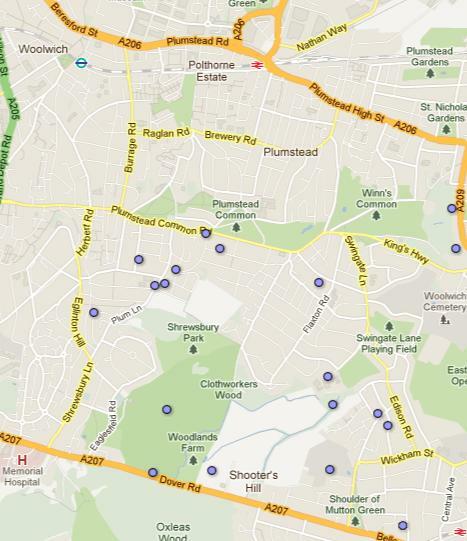 How much will be tempted to take an earlier right turn and cut across through Shooters Hill or Plumstead I wonder? And what about the traffic that comes in to London on the A2 – again how much will cut across through East Wickham and Plumstead to get to the new ferry. It seems very likely that there will be an increase in traffic along streets that aren’t designed for heavy use. 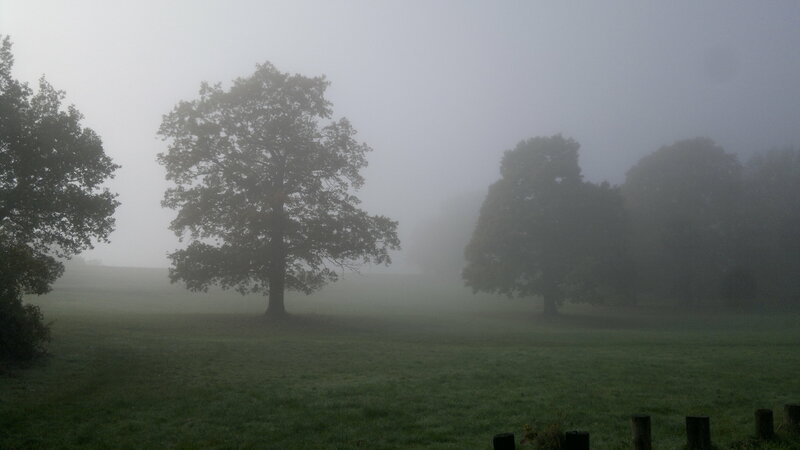 The increase in traffic will lead to demands for improved roads and before we know it Oxleas Wood and Woodlands farm are under threat again – a subject of previous posts on this blog. It appears to be a re-run of the very old plans for Ringway 2. The Google Earth snippet below is taken from an overlay provided by the cbrd.co.uk web site’s excellent UK roads database. 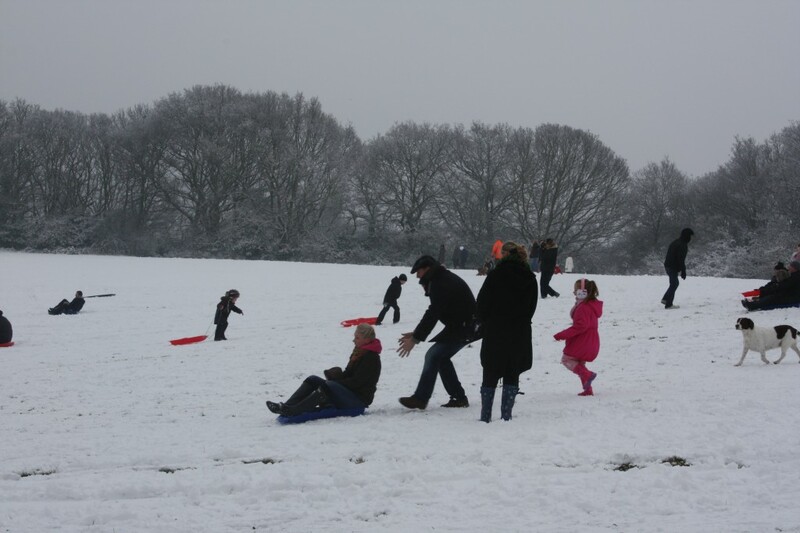 It shows Ringway2 running down through Oxleas Wood and Woodlands Farm, ploughing across Plumstead to Western Way and thence to the Thames. Underneath is an extract from the TfL consultation documents showing the proposed new road to connect to the Gallions Reach ferry. Spot the difference! My concern is aggravated by suggestions in a 2009 presentation by a TfL Planning Manager that the Gallions Reach ferry could be replaced by a fixed link (i.e. a bridge) “depending on local development and demand, and impact of congestion relief at Blackwall and Dartford.” Sounds like that could lead to Ringway2 by stealth. I’m also concerned about the effect of the proposed development on people living in Thamesmead. 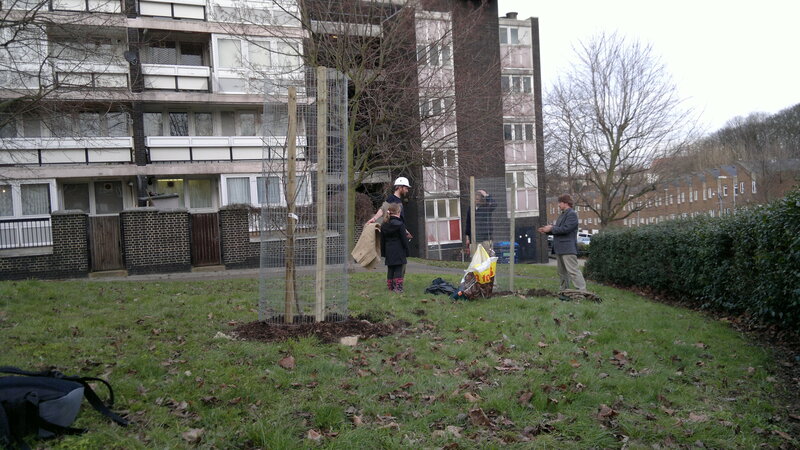 I went for a walk up Gallions Hill yesterday to take a look at the route of the proposed new road. I was immediately struck by the loud and frequent aircraft noise. The area is directly under the flight path for London City Airport and aircraft are quite low here on their landing approach. I was also struck by the landscaping and rows of new, young trees that had recently been completed on the land to the North-west where the new road would run; it has been converted into a park, soon to open to the public. So residents would have a major road and ferry port to add to the aircraft noise, and potentially lose a new park! The consultation on the new proposals is open now. It only takes 5 minutes to complete – just 17 questions including the now standard ones on age, ethnicity etc. 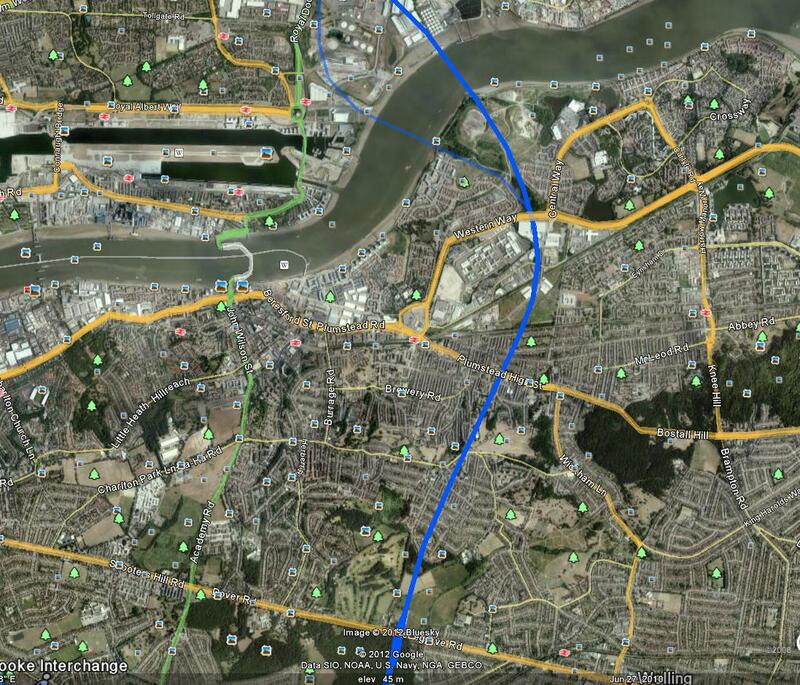 – and allows us to say whether we support the new Gallions Reach ferry and Silvertown Tunnel. It runs to midnight on 5 March 2012. 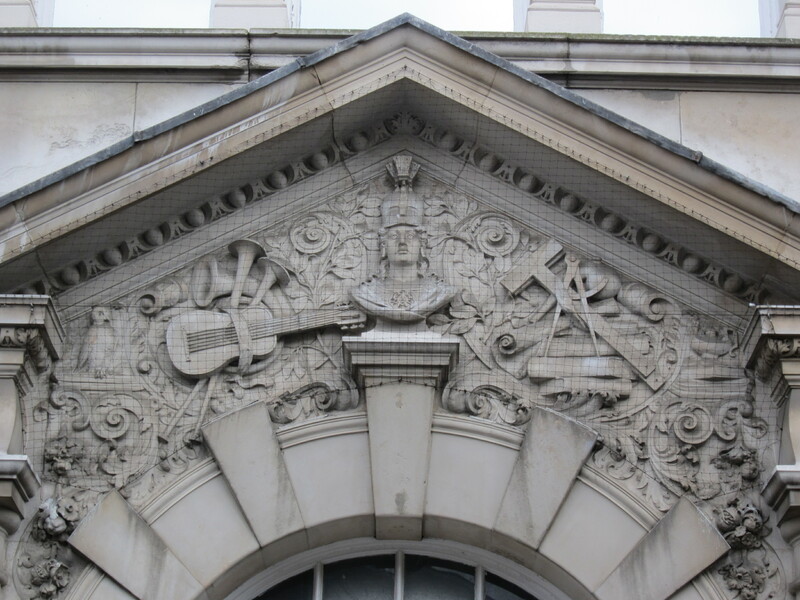 A new sign has appeared on the Grade II* listed Woolwich Rotunda – “Woolwich Station Boxing Centre” – which could be good news for its future. 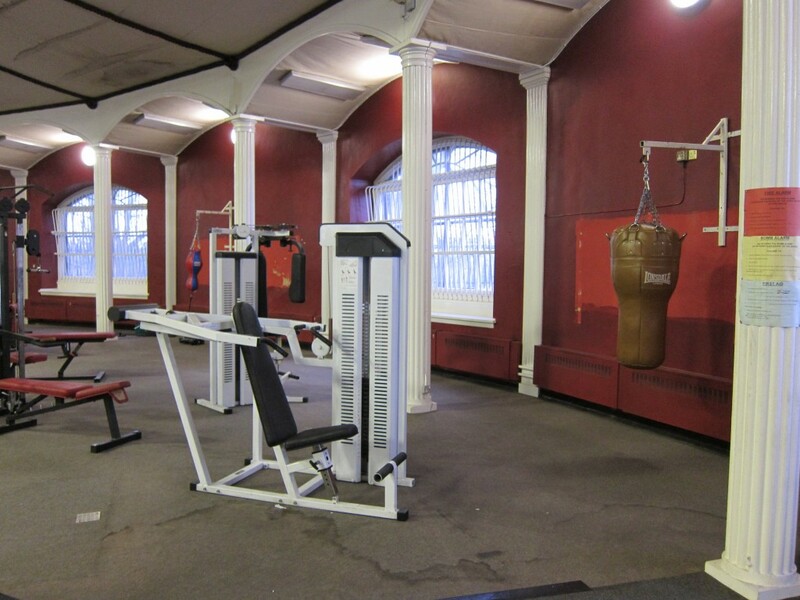 Good news in that the building, which has been empty since its artillery museum exhibits moved to Firepower in 2001, now has a use as a boxing gymnasium. However we can’t raise our hopes too high as there is still no definite information on whether it will be restored. 24-side polygon, single storey building designed by John Nash. 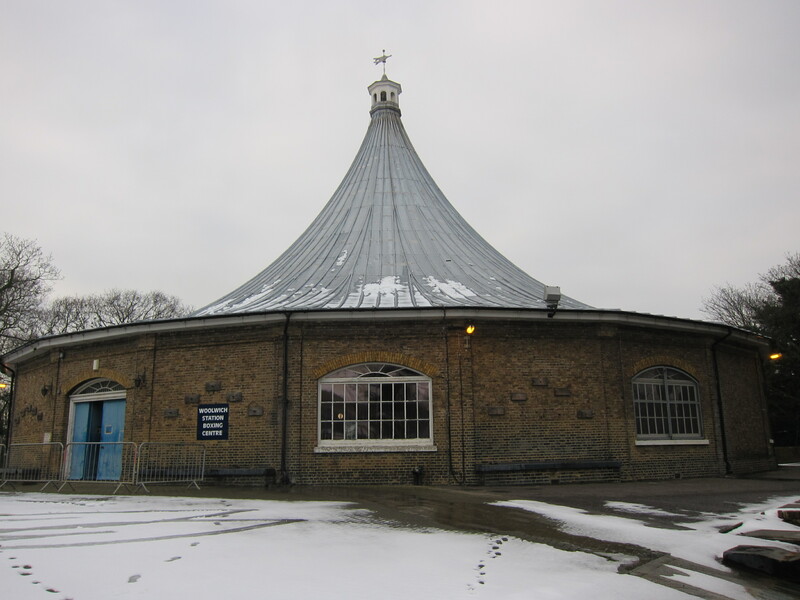 Concave conoid lead-covered roof; first erected in grounds of Carlton House in 1814 for (premature) celebration of Allied victory in Napoleonic wars. Housed the reserve collection of ‘Firepower’ museum but now vacant. Lead-sheet roof covering is failing. The change of use is a result of the King’s Troop’s move to their new Woolwich barracks at Napier Lines. They have some 60 soldiers who are keen boxers and need somewhere to train. 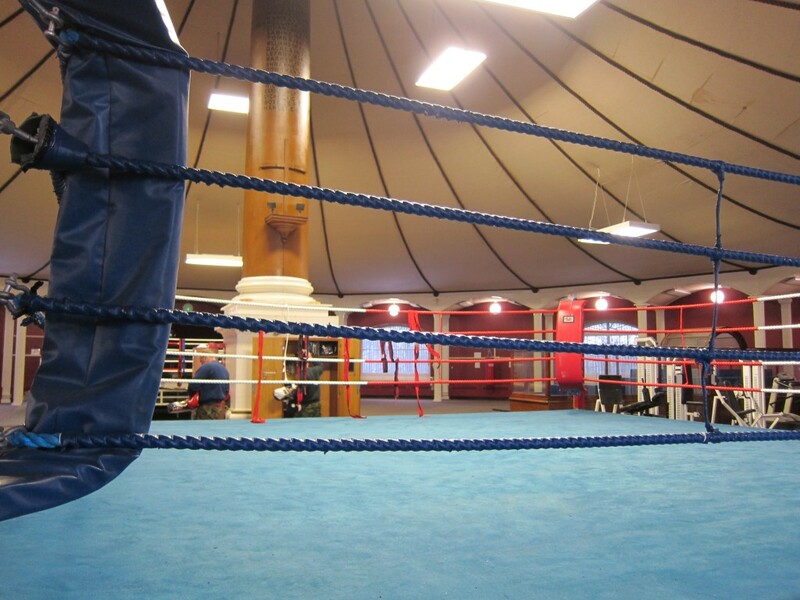 Inside the Rotunda the transformation to a Boxing Centre is well advanced – two boxing rings have been erected and gym equipment and punch bags have been installed. The Rotunda, or ‘Polygon Room’ as it was originally called, was the showpiece of the ensemble of interconnecting temporary structures which were designed collectively to accommodate 2,500 guests, including royalty, nobility, foreign ambassadors, ministers and officers of state. The temporary buildings were laid out in an H formation to the south of Carlton House, and included refreshment rooms, promenades, giant supper rooms, a botanical arbour and a Corinthian temple to Wellington. At the centre of the whole arrangement was the Polygon Room, with three apartments to the east, west and north (Crook & Port 1973, p. 317). Of course Napoleon escaped from Elba and was not finally defeated until the Battle of Waterloo on Sunday 18 June 1815. It’s quite a contrast for the Rotunda – from the magnificent focus of a major national celebration to a boxing gym in nearly 200 years – but at least it’s now back in use and there’s hope that this beautifully and elegantly engineered building will be saved. 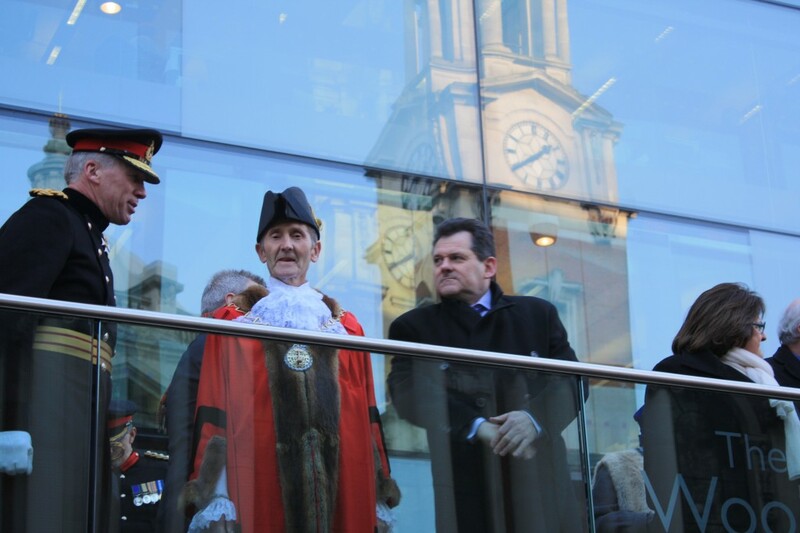 Woolwich was packed again today as hundreds of people lined the streets to welcome the King’s Troop, Royal Horse Artillery to their new barracks at Napier Lines. 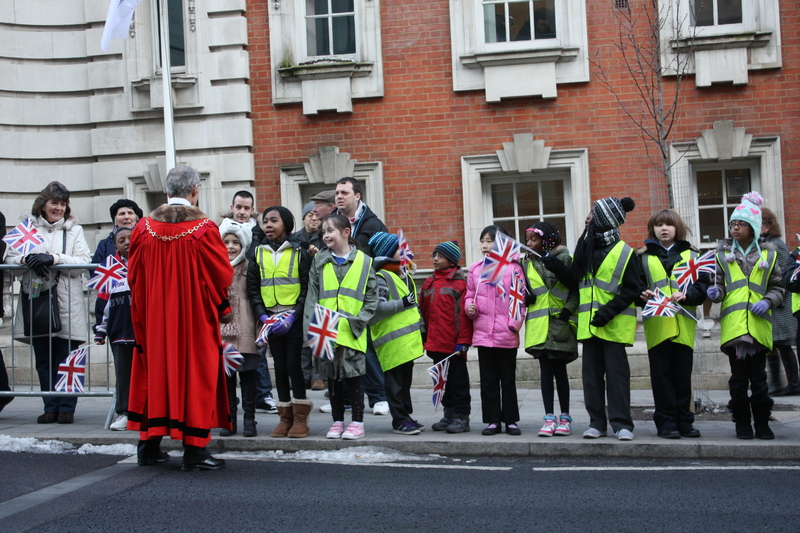 Crocodiles of school-children in reflective jackets waving council-issue union jacks arrived early and had pride of place at the front. One clique of photographers, laden with long lenses, large tripods and a fluffy microphone were held in a well-positioned cage opposite the salute receivers, while another clique roamed restlessly seeking a good spot. Members of the Royal British Legion, medals proudly displayed, lined up to salute the newcomers with dipped banners. The parade was very, very impressive. 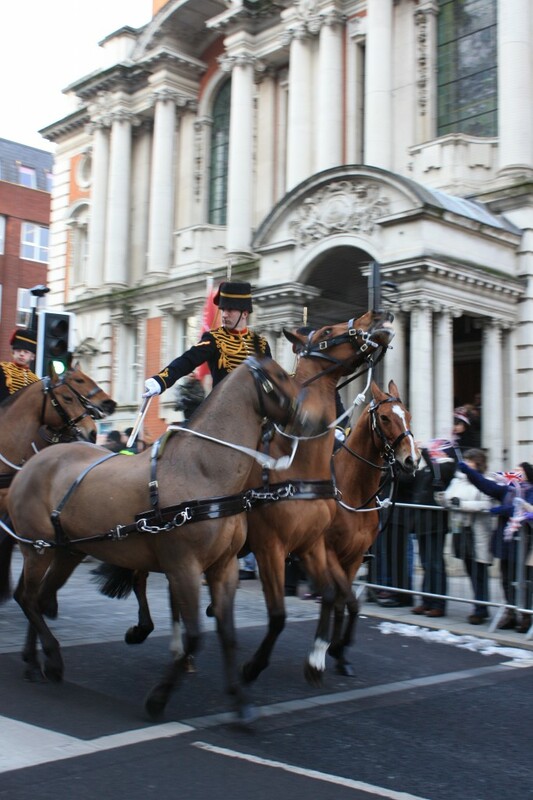 It seemed like all of the King’s troop’s 100 plus horses were there, some carrying officers, others in teams of six pulling the ceremonial 13 pounder cannons – perhaps the same ones that had fired the 41 gun salute yesterday in Hyde Park to mark the Queen’s diamond jubilee. 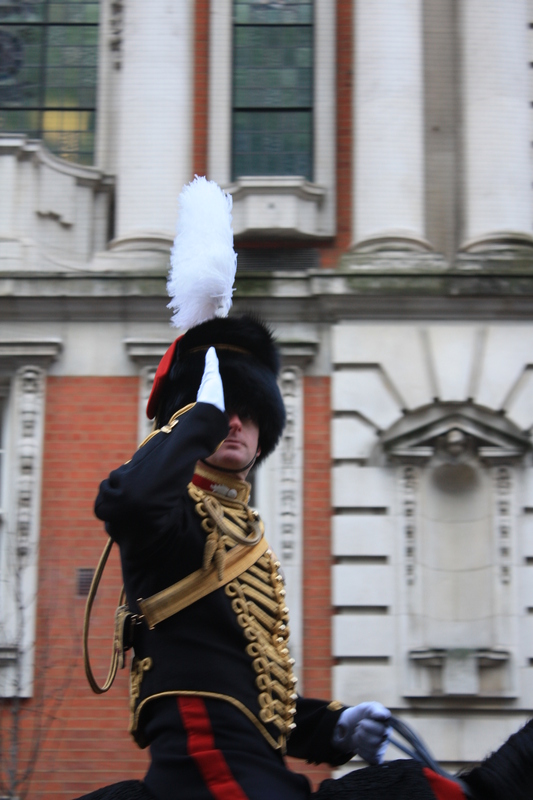 The officers wore their hussar-style dress uniforms, black with 18 carat gold thread frogging and red piping. The jackets alone cost £4800. Their busbies have a white plume and a red flap that was designed to be filled with sand as protection against enemy sabres. The Gunners guiding the gun trains had their hands full controlling the beautiful but sometimes skittish horses, which are capable of pulling a ton and a half of artillery piece at full gallop. They have moved from their home of 65 years at St Johns Wood where they had a close relationship with the local community, who will miss seeing and hearing them riding off to their ceremonial duties. While they won’t be able to ride from Woolwich to Central London now, it is likely that we will see them around – even if only training in their new facility alongside Repository Road. The King’s Troop’s old barracks have been sold for £250 million for re-development. They move into a purpose built new barracks which will provide stabling and training facilities for 170 horses as well as space for the ceremonial gun carriages. The new building has been designed with sustainability in mind, and includes solar chimneys to ventilate the stables and a heating and hot-water system that will use horse manure as a fuel. The first barracks for the Royal artillery were built in Woolwich in 1720, just four years after they were founded. It seems appropriate that an artillery regiment have returned. I’ll put some more photographs on flickr.